YouGov | Civil War in the G.O.P. 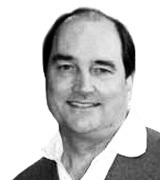 Civil War in the G.O.P. am März 6, 2016, 3:28 a.m.
On Thursday, Mitt Romney fired the first shot in the Republican civil war. In a speech at the University of Utah, Romney denounced Donald Trump as a “phony” and a “fraud” with “neither the temperament nor the judgment to be President.” We wondered whether Romney’s attack would have any impact upon Trump’s supporters and derail his campaign. On Friday and Saturday, we polled over 2,000 YouGov panelists and asked them to tell us. Romney is not particularly popular, especially among Trump supporters. Only 26% of the public rates him favorably (compared to 46% for President Obama or 34% for John McCain). True, he scores better among Republicans (with 47% of Republicans holding a favorable opinion of him), but that’s because of support within the more moderate, establishment wing of the Republican party. That’s a far cry from the 86% favorable rating Romney had from Republicans in our poll just before the 2012 Presidential election or even his 73% favorable rating on February 9, 2015, when we last asked about him. Romney is remarkably unpopular among those supporting Trump in the Republican primaries and caucuses: only 21% of registered voters likely to participate in Republican primaries and caucuses who want Trump to be the party’s nominee have a favorable opinion of Romney. 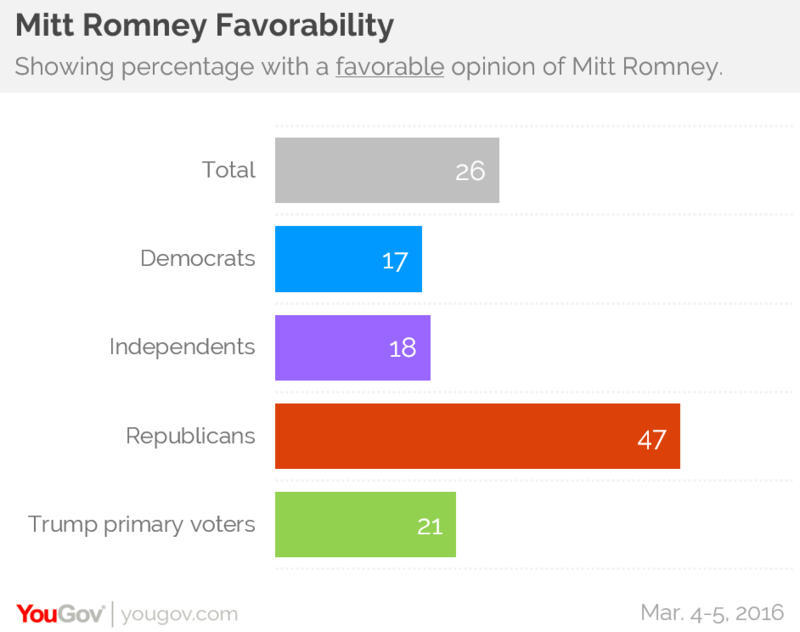 That’s similar to the percentage of Democrats who have a favorable opinion of Romney (17%). Romney would be greeted as warmly at a Trump rally as he would be at the Democratic National Convention. We asked people directly if a Romney endorsement would influence their vote. About half (48%) of Trump supporters said it would have “no effect” on their vote. Only 7% said that it would make them “more likely” to vote for the candidate Romney endorsed, while a whopping 39% said is would make them “less likely” to vote for that candidate. The problem for establishment Republicans like Romney is that they, as much as the Democrats, are the enemy to Trump supporters. 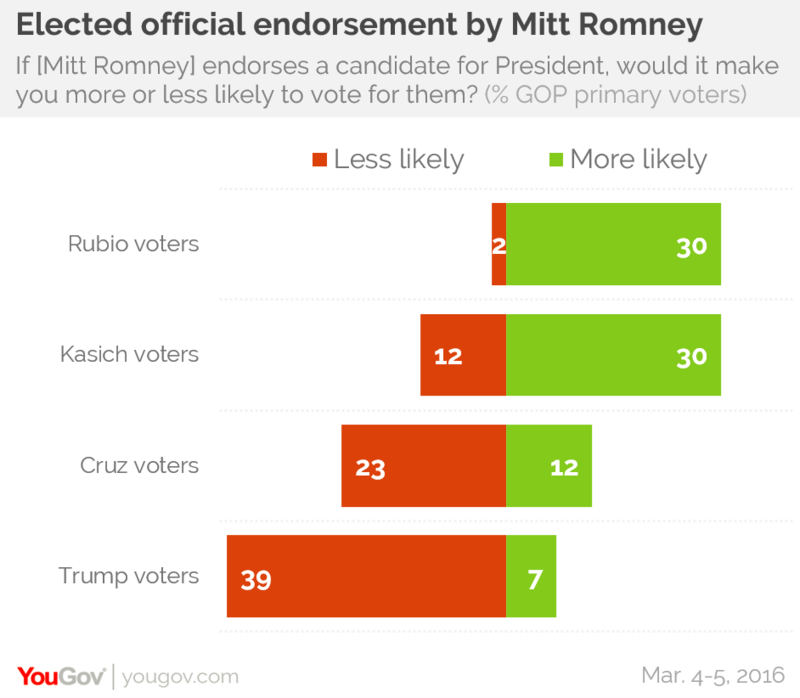 A Romney endorsement for either John Kasich or Marco Rubio might help the one he endorses attract the other’s supporters, because 30% of Kasich and Rubio supporters say they would be influenced positively by a Romney endorsement. But endorsing another candidate is one thing Mitt Romney said he wouldn’t do in his speech on Thursday.